The 63-year-old IIT graduate-turned-politician, who is known for his simplicity and easy demeanour, quit as defence minister that year to head a BJP-led coalition government in the state. PANAJI: Ailing Goa Chief Minister Manohar Parrikar, who was among the leaders that spearheaded the BJP's poll campaign since 1994 in the state, is likely to stay away from the heat and dust of electioneering for Lok Sabha polls this time. Parrikar's contribution to the party's victory in Lok Sabha and assembly elections over the years is even recognised by rivals who claim his absence will impact BJP's performance in the state, but party leaders have dismissed such doubts saying they are working under his guidance. One of the first BJP MLAs from the state, Parrikar went on to become the chief minister four times since 2000. Ahead of the 2017 assembly polls, Parrikar, who was then the defence minister, had criss-crossed the entire state, promising continuation of the developmental works the BJP government initiated and sought a clear mandate, stressing political stability was essential to steer the state to progress. The 63-year-old IIT graduate-turned-politician, who is known for his simplicity and easy demeanour, quit as defence minister that year to head a BJP-led coalition government in the state. However, the chief minister, who is suffering from a pancreatic ailment since last one year, has restricted his public appearances. The BJP leader, who is largely confined to his home, is unlikely to actively campaign for the party. During a meeting here last month which was addressed by BJP president Amit Shah, Parrikar had promised he would address public meetings during the Lok Sabha elections. "Yes, it will be first time that Parrikar may not be physically present for campaigning but he is monitoring all election matters from home," said BJP MLA and Deputy Speaker of Assembly Michael Lobo. He said there is a dedicated team of BJP workers who are working overtime to ensure the party wins under the guidance of Parrikar. Lobo said Parrikar's absence from active campaigning will not have any adverse impact on the BJP's prospects. "There won't be any impact on the polls because Parrikar is monitoring the campaigning. Parrikar is guiding the party from his residence. "Every decision that the party is taking, including finalisation of candidates for by-elections, is with the blessings of Parrikar," he said. However, Parrikar's political opponent, Subhash Velingkar, who floated the Goa Suraksha Manch after being sacked from the RSS in 2016, said things are not going to be easy for the BJP. "It will not be easy for the BJP to have elections without Parrikar," he said, recalling how the chief minister has been a "star campaigner" of his party in elections in the last over two decades. "Parrikar was a star campaigner and he used to visit all constituencies," he said. Velingkar said the BJP does not have "second-rung" leaders in Goa. He claimed Parrikar's absence from campaigning will have a big impact on the BJP's poll prospects. However, BJP's South Goa Member of Parliament Narendra Sawaikar rejected any such possibility. "People have been saying they will vote for the BJP because of Goa's development under the party," he said. "People also know Parrikar is the driving force (behind the BJP and the government). We feel he should have been there (for campaigning), but definitely his guidance will be there," he added. A leader who enjoys acceptance from all sections of the BJP and beyond, Parrikar has played key role in making the party a force to reckon with in Goa, which remained for long a Congress bastion, with regional outfits having pockets of influence. Parrikar is known for his connect with party workers. Many recall how he would ride his scooter even after becoming the chief minister and is easily accessible. He had once mentioned how he went to a party worker's house for tea at his invitation but the next day the worker asked him why he did not bring his pilot vehicles and escorts along with me. 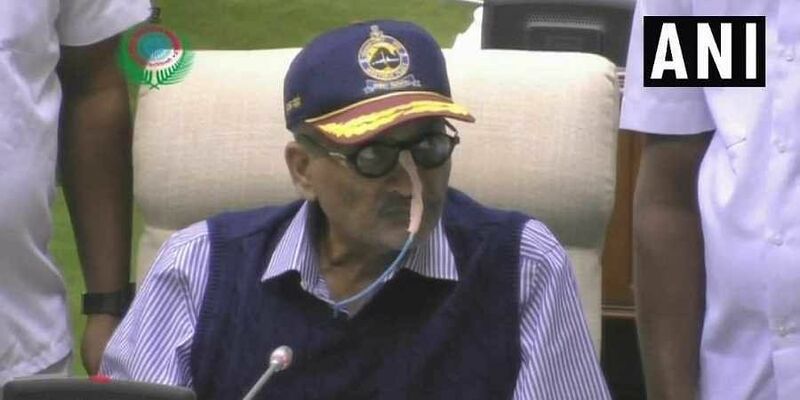 "I asked him if my coming wasn't enough, to which he replied that even though I had come, nobody in his village knew that the CM had visited his house," Parrikar said, evoking laughter from audience.